We at Fires/Fireplaces/Stoves are proud to be among the first to publish the latest exciting release from Apex: The Devotion Electric Fire. The Apex Devotion Electric Fire comes from one of the UK's up and coming fire suppliers Apex, and they have designed this electric fire ideally for rooms with smaller proportions as the fire itself measures 25inches in width. 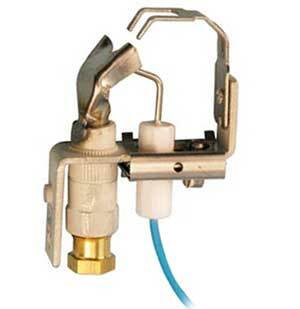 Compact in dimensions but easily competing with larger fire for heat output, functionality and design. The Apex Devotion has a maximum heat output of 2kW, and a low setting whereby 1kW of heat is emitted. 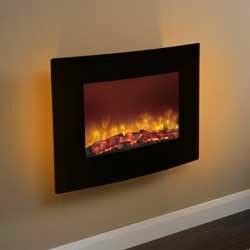 The Apex electric fire also has the optional setting for flame effect only, where the stunning log fuel bed effect and unique led flame effect can be displayed without expelling any heat. Apex have taken the LED technology they have honed on previous models and applied the energy saving lighting with fantastic results, including it not only within the new log fuel bed and flame effects, but also incorporating into the side lighting that is a great feature to the Devotion. The side lighting allows a range of lighting effects, yellow, blue and purple side/back lighting can be opted for to suit or create mood lighting as and when desired. The lighting not only sets a mood but also highlights the design quality and finesse of the curved black mirrored glass fascia that frames the unique and appealing fire itself. Apex also supply the Devotion with a state of the art battery operated remote control, which has the option to control the electric thermostatically controlled fire and the LED Fuel effect and back lighting too. This fire is surely set to be another top seller for Apex, and it won't be long before all of us within the fireplace industry recognize and respect the electric fire named the Devotion. The Little Wenlock range from well-known brand Aga is a popular compact stove designed to give a high heat output while also being very fuel efficient. The Aga Little Wenlock range features the Classic Multi-Fuel, SE Wood-Burning and the Little Wenlock Solid Fuel. Every model of the Aga Little Wenlock range utilises the latest clean-burn technology to maximise efficiency and reduce the amount of unburnt carbon being released into the atmosphere. The elegant cast-iron panels of these Aga Stoves are individually moulded in a hand-finished cast that allows Aga to create an exquisitely detailed and quality finish that has become the trademark of Aga stoves.The Wenlock stoves come in a high-quality cast matt finish. 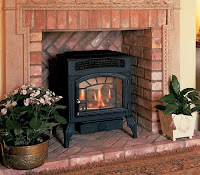 These Aga stoves are made out of cast iron, a material renowned for its heat retention propreties. This means that even long after the embers have died away the cast iron stove will still be emitting heat out into the room. Unlike some other multi-fuel stoves, Aga incorporate the lastest technology into these timeless heating appliances to ensure that not only do they produce the most amount of heat from the fuel, but also that the amount of harmful materials released into the atmosphere is reduced. The Little Wenlock stoves channel air below, around and above the firebox to create the optimum combustion environment. This airflow also means that any solid combustible material or gases that have been produced by the burning fuel are ignited, creating a secondary burn that dramatically increases the efficiency of the fire while releasing less harmful materials into the environment. What most people do not see is that Aga stoves are pieces of precision design and engineering with ducts, baffles and channels that mean the air enters, circulates and then leaves the stove in the most efficient way possible. This is a must to get the most heat out of the fuel while being up to 81% efficient. This means your Little Wenlock stove is both economical and efficient. The Aga Little Wenlock Solid Fuel is the first in the range, this compact, solid fuel stove featues a heat output of up to 5.7kW when burning wood, this is enough to rival some of the larger and more expensive stoves on the market. The small size of this stove means it is ideal for smaller living spaces while the high heat output means this little stove packs quite a punch. The Little Wenlock also features an airwash system that helps keep the glass clean and affording uninterrupted views of the fire inside. 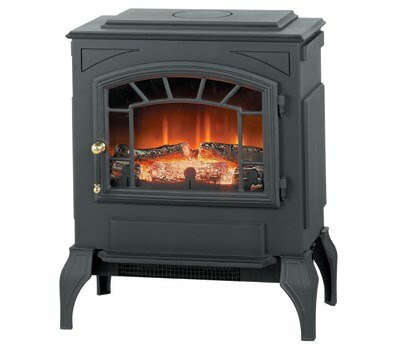 Next in the range is the Little Wenlock SE wood burning stove, although very similar in appearance to the Classic Multi-fuel this stove burns wood so efficiently that it meets the strict specifications of the Clean Air Act (1956) and can be used to burn wood in Smoke Control Areas such as Liverpool, Manchester or Bristol. This wood burning stove could not be more eco-friendly when burning wood, which is carbon-neutral and can be obtained from a renewable source. 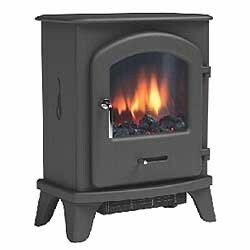 This means there is no longer an excuse to not have a small but very stylish wood burning stove in your living room, available in a classic cast black finish with both top and rear flue exits allowing for maximum flexibility. Last but not least the Aga Little Wenlock Classic Multi-Fuel, this stylish stove comes with a supplementary wood grate allowing the freedom and flexibility to burn wood as well as solid mineral fuels. This well-designed stove is ideal for smaller living spaces with the 4.7kW heat output that would easily heat the smaller living room. 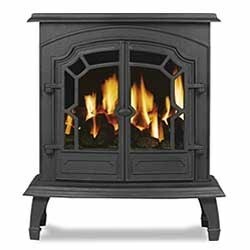 Recently released by Matchless Fires are two superb hole in the wall fires known as the Matchless 400 and the Matchless 600. At first glance these products display contemporary design attributes and chic finishes, and look very similar, apart from the dimensions that is. The Matchless 600 is the larger of the two as the names figures suggest, it is squarer in appearance and comes with the beautiful log with bark and embers fuel bed effect which creates a rustic and realistic look. The Matchless 400 being the smaller fire still delivers style and quality as the 600 model but is more landscape in appearance. The The Matchless 400 comes with the choice of black quartz, white pebble or the realistic log fuel bed effect, (the pebbles and quartz both being supplied as standard). Matchless Fires have given the option to alter the trim these fires and they both come with infrared fully sequential remote controls which adds to the overall quality finish of these high quality, high efficiency (84%) fires. Suitable for fitting within chimneys only, (they can be used with class 1 or class 2 chimneys) and designed for natural mains gas use only and are available from only the highest quality online retailers. Burley Appliances produce a large range of excellent fires, they take pride in the quality of their Flueless gas fires and stoves. 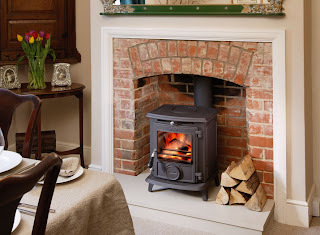 These fires and stoves boast 100% efficiency and at the time of this blog have saved Burley Customers 151, 882, 103.4 KWH of gas due to the high efficiency rating of the fire over more traditional fires and stoves. 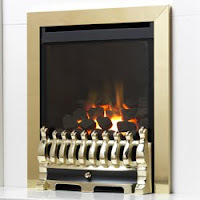 Burley Fires produce a large range of gas and electric fires in both contemporary and traditional styling. The gas fires all feature a catalytic converter system that means no Burley Fire requires a chimney or flue, merely a vent in the room and a minimum room size. While the electric fires feature a realistic virtual flame effect and some fires feature a remote control as standard. 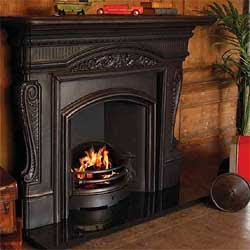 Burley introducted the fixed, flueless gas fire to Great Britain in 1999. Although these types of fires are still a relatively new concept into the UK, there are over 60 million of this type of catalytic gas fire in the US, Japan and Austrailia combined. Burley flueless gas fires offer a level of efficiency, convienience and safety which simply cannot be matched by conventionally flued fires. We have entered an time of spiralling gas prices, gas shortages, economic instability and global warming. It would be short-sighted and unsustainable to continue wasting energy at such a rate when Burley offer an alternative product which is superior to flued fires in a number of ways. The Burley Ambience is a great example of the quality flueless gas fires that Burley produce, this traditionally styled gas stove features a realistic log fuel effect and provides an impressive 3.5kW heat output, which is more than enough to heat the minimum room space of 40m3, as this is a flueless gas stove it does require ventilation somewhere in the room of at least 100cm2. 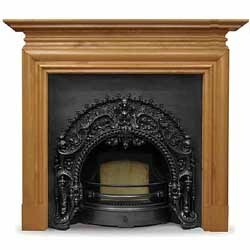 The Burley Ambience is available in both natural gas and LPG with a cast iron effect finish with 100% efficiency and would make a perfect focal point in a large open fireplace to give a traditional and rustic finish. The Burley Allexton 520-R Electric fire, which is available for The Fireplace Megastore, is the ideal contemporary solution to those wishing for a hang-on-the-wall, picture frame electric fire. The Allexton 520-R is an open fronted electric fire with a pebble, shell and white stone fuel effect and realistic virtual flame effect and, as the R suggests in the name of the fire the Burley Allexton 520-R comes as standard with a remote control. The Allexton, unlike most other electric fires which use a noisy fan than blows hot air and dust around the room, sometimes causing havoc with allergy sufferers. The Allexton features an integral ioniser that releases negative ions that actually remove dust and odours from the air, making the air fresher in the living space while The 1 or 2kW heat output also provides the ideal level of heat for a generous sized living room. Last, but not least the Burley Weston is a free-standing, cast iron effect electric stove with a very realistic virtual flame effect and log effect that would help make the Weston a special little addition to any living room for that rustic feel. 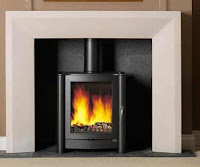 The Weston can be upgraded with a Sensa-Switch, this unique feature on certain Burley Fires means the stove can be controlled by a simple touch of a finger on the ergonomic touch pad. This eliminates the need for playing with fiddely buttons or switches. The Burley Weston features a 1 or 2Kw electric fan heater mounted under the stove that will help circulate the heat effectively around the room and quickly take the cold edge off a room. Electric fires are sometimes the only option for people who do not have a natural gas or LPG connection, but this isnt a reason for disappointment, technology in electric fires has been evolving, now you do not have to put up with a light-bulb under an orange perspex bowl if you do not want to. The Fireplace Megastore offers a brilliant range of electric fires, either to replicate the look and feel of a traditional gas or solid fuel fire but also a range of contemporary fires such as the Bemodern Arizona. The Bemodern Arizona is a Glass fronted hang on the wall electric fire which is available in 2 sizes either the adequately sized 36inch or in a stunning 42inch version at additional cost. The Arizona features LED lights that are incredibly energy efficient and are able to produce a variety of colour effects in 3 stages. 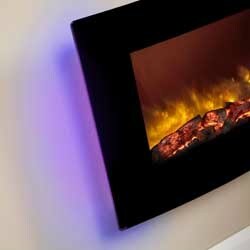 You can change the colour to suit your mood and create the perfect ambience with this wall mounted electric suite. The Arizona features a stunning and brand new innovative flame effect with colour changing LEDs that really grab attention. This contemporary fire also features a Thermostatically controlled Remote control as standard that allows you to change the Heat and Light settings from the comfort of your chair. 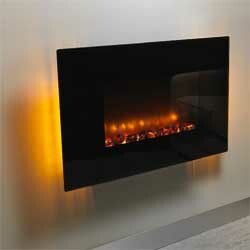 For ultimate realism Dimplex have produced the Opti-myst range of fires that use atomised water as a screen to project flame effects onto. Although impressive this fire requires a large amount of cleaning, topping up of water and care to ensure reliable operation, Opti-myst fires can only use filtered water to project the flame effect onto, this further adds to the running costs of the fire and reduces the value for money. Electric fires aren't just confined to the inset or hang-on-the-wall, Fireplace Megastore also offer an impressive range of electric suites and stoves from well-known and high-quality manufacturers such as Burley, Gazco or Apex. 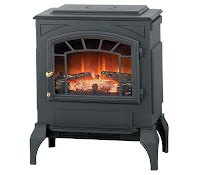 Gazco produce a high-quality range of stoves such as the Gazco Ashdon Electric Stove. The cast iron body, almost identical to the Gazco Ashdon gas stoves, and the ultra-realistic fuel effect combine to create a very realistic electric stove producing up to 2kW of heat with built in thermostatic control. The Gazco Ashdon is also available in a choice of three, high-quality, enamel finishes aswell such as Laurel Green, Ivory or Midnight Blue to help make this stove the feature of any living space. For those looking to create a stylish, voguish and original fireplace but without the large budget to spend thousands of pounds on a fireplace and fire then for those with the luxury of a natural gas connection should read on for a very contemporary and modern fire surround but without creating a fireplace with a cold aesthetic. The first thing you see when you look at a fireplace is the surround. To create a modern and contemporary feel without sucking the warmth out of the room and without breaking the bank, I would suggest the Bemodern Kansas in American Walnut. The rich dark colours of the Oak add a warmth to the surround not found in a beech, limestone or marble surround. The crisp straight lines and stepped finish frame the fire and draw attention in towards the surround and fire in the centre. This rich and warm dark colours of the American Walnut would be prefectly complimented with the Black Granite Hearth and back panel. The deep black colour of the granite brings out the almost red colourings of the American Walnut and highlights the natural wood grain patterns. For an even more contemporary touch this fire is available with optional downlights with a 25mm rebate, these would really add a contemporary touch with the downlights illuminating the back panel, hearth and fire and further drawing the eye to this stunning focal point. The Bemodern Kansas is also available in a slightly lighter natural oak finish which retains the suggest of warmth unlike some lighter wood finishes and adds a degree of subtlety. It is also available with White Marble, Pearl stone or Marfil hearth and back panel sets which help frame the surround between the back panel and a pale coloured wall, this drains a little bit of colour out of the wood, making the American Walnut appear slightly less dark. The perfect complimentary fire for this contemporary surround would be the Flavel Windsor Contemporary HE, this high efficiency glass fronted gas fire features a minimalist and post-modern design in stunning silver finish. 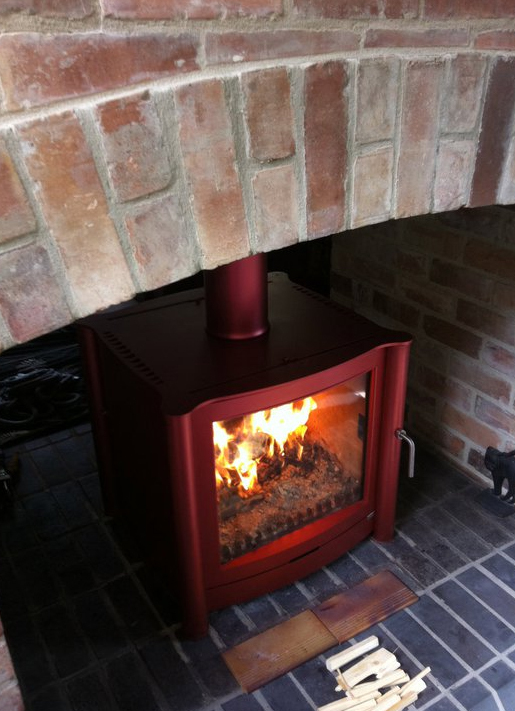 The 89% net efficiency of this fire provides both convected warm air and radiated heat. This means thatonly 11% of the heat is wasted up the chimney for ultimate value for money, while the 3.2kW efficiency means that more than enough heat is generated to warm the definitive living room. 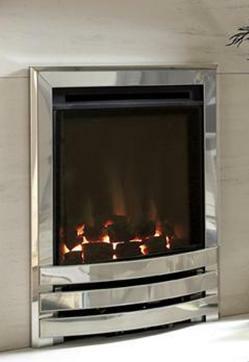 The minimalist silver finish design features a ultra-realistic coal or pebble fuel effect with a realistic core glow for added realism and quality details such as the ribbed fireback.The strong horizontal lines of the fret detail work well with the crisp lines of the wooden surround and help turn the fire and surround into a stunning fireplace, while the stylish stainless steel trim contrasts against the dark colours to really draw attention to the fire and frame the glowing flames in the centre in front of a black ribbed fireback. Together the Bemodern Kansas fireplace surround in American Walnut and the Flavel Windsor Contemporary HE combine to create a vogue and contemporary fireplace while maintaining the warmth and natural feel of a traditional fireplace. The glow from the living flame effect combined with the warming colours of the American Walnut really create an ambience best saved for cold, dark winter nights with the fire projecting the warming glow into the room and creating that warm ambience that only a fire can provide on a cold and dark wintery night. This creative fireplace that would become an amazing focal point in most living spaces with contemporary furnishings and even more-so during the dark winter months when the 3.2kW of convected and radiated heat count just as much as the warm, contemporary aesthetic. The Bemodern Kansas and Flavel Windsor Contemporary HE are available from the Fireplace Megastore for just £781, this amazing deal saves £185 on the RRP and means that for well under £1000 you can own a stunning modern fireplace that will be the focal point of your living room for years to come. The Gazco Studio 2 Kelper is one of the first hole-in-the-wall gas fires of it's type, specifically designed to allow a flat-screen style TV to be mounted on the wall above the fire, this is as long as the chimney the Gazco Studio is fitted into has adequate "draw" and the tv is situated a minimum of 450mm above the fire. But it is always recommended to check with the manufacturer of the television before installing the television to ensure nothing happens to that nice shiny big screen TV! This open fronted gas fire from Gazco is suitable for a class 1 chimney or 175mm metal prefabricated flue and develops 2.2kW of heat when running on Natural gas and 2.3kW when running on LPG. This may seem respectable on it's own but as they are open fronted fires they are only approximately 25% as a large amount of the heat will be drawn up the chimney and not radiated into the room. 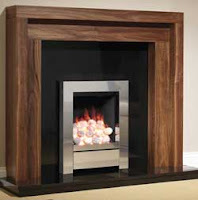 Unlike almost every other fire that utilises metal and plastic to create the desired effect, this unique fire uses a solid Walnut wood fascia panel, this combined with the optional Black Granite lined interior and white pebble fuel effect create a unique and natural design statement. The natural colours, patterns and knotting of the Walnut help almost give a warm feel even without the fire being lit. But when it is lit the darkness of the Black Granite interior contrasts with the white pebble fuel effect and really highlights the dancing flame effect and with the Solid Wooden frame projects the fire out into the room. 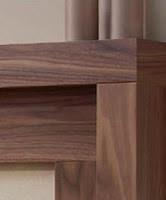 This stunning modern fireplace is unique among hole-in-the-wall fires with the solid Walnut front and can help create an incredibly interesting focal point in any living space, suitable for both more modern and contemporarily or for a more traditionally furnished living space with other wood furnishings in the room. 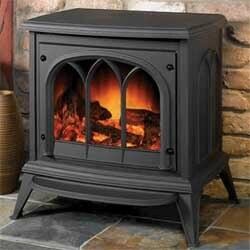 Before you buy a fireplace you need to make sure that the fire is suitable for your property. If you do not have a chimney at the property, but do have an exterior wall where the fire is to be situated then a balanced flue would more than likely be ideal for your needs. The balanced flue gas fire system was invented in Holland during the 1930's by Drugasar engineers, and this system has since been adopted by numerous companies as it results in an energy efficient fireplace that is safer to and more reliable than traditionally flued fireplaces. The balanced flue system is based around a fire that is sealed from the room itself, this means that unlike traditionally flued fires that use quite a large 'draw' of air from the room to fuel the fire, this hot air then rises up out of the chimney, reducing the amount of heat that enters the room and reducing the efficiency of the fire. Traditionally flued fires are typically around 40% efficient, which means a over half the heat generated from the fire and over half the gas burned is wasted up the chimney or flue. Balanced flues operate by using two concentric flue pipes, the inner pipe is used to transport the exhaust gases out of the property while the outer pipe is used to draw in the fresh air, warming the fresh air as it travels through the pipe, allowing for much greater efficiency as the air is preheated and ready to burn. This flue system utilises natural air convection to draw the fresh air in , this typically gives an efficiency of at least 70%, meaning that at least 30% more gas is being converted into heat for the living room rather than being wasted up a chimney. This not only means that less heat is wasted but it also means that less money is wasted on gas that could merely be contributing to global warming. These twin walled, concentric pipe system can allow a lot of flexibility regarding the location of the fire as bends and extentions can be added to the flue system, subject to requirements. This allows fires to be designed with large viewing windows as well as two or three sided fires such as the Drugasar Metro XTL Balanced Flue Gas Fire which allows the fire to be viewed from 3 sides and could serve as a dramatic room divider. 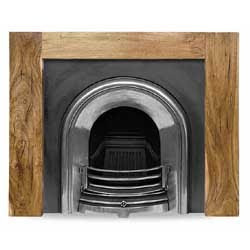 Balanced flue fires are available in a wide range of fires, they can be traditional inset fires such as the Flavel Raglan, this fire is designed to fit a standard opening in a fire surround, the traditional fret detailing at the front of the fire in either brass or silver would compliment a traditional wood surround and granite or marble hearth. The Flavel Raglan develops 80% net efficiency, double that of a traditional open fire, this equates to a maximum heat output of 2.8kW, enough to nicely warm a standard sized living room. The fire also comes with a realistic coal fuel effect and a remote control as standard, this means that not only will this fire help warm the room during the cold winter months but will also harmonise with a more traditionally furnished house. 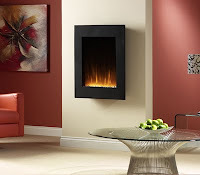 The Drugasar Metro 100 Slimline Balanced Flue Gas Fire is a very contemporary "Hole-In-The-Wall" style gas fire. 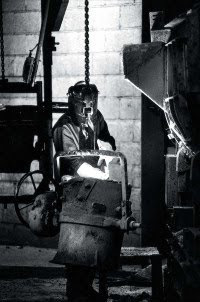 As Drugasar engineers invented the balanced flue system in 1930's their balanced flue systems and fires are second-to-none with high-quality that is the signature of DRU fires, Only the best balanced flue gas fires are produced by Drugasar. The Metro 100 is a masterpiece of simplistic design, the frameless design allows the fire itself to become the centre of attention in any room without overpowering surrounding decor, The popular letterbox format is designed to create the ultimate showcase for the flames within while The unique Vario Burner System produces tall, realistic flames for a stunning three-dimensional effect around the white pebble or twix fuel effect. The stunning design of this fire doesnt detract from the basic use of a fire, to produce heat, this fire is 70% efficient and develops an impressive 6.5kW of heat, more than enough for most living spaces. The Metro 100 is also easy to operate and use thanks to the thermostatic remote control that allows you to adjust the flames and temperature of the room from the comfort of an armchair or sofa, this fire would look magnificent in a modern and contemporarily furnished living room.